This indoor competition flying model can comply with national middle and high school indoor flying competitions. 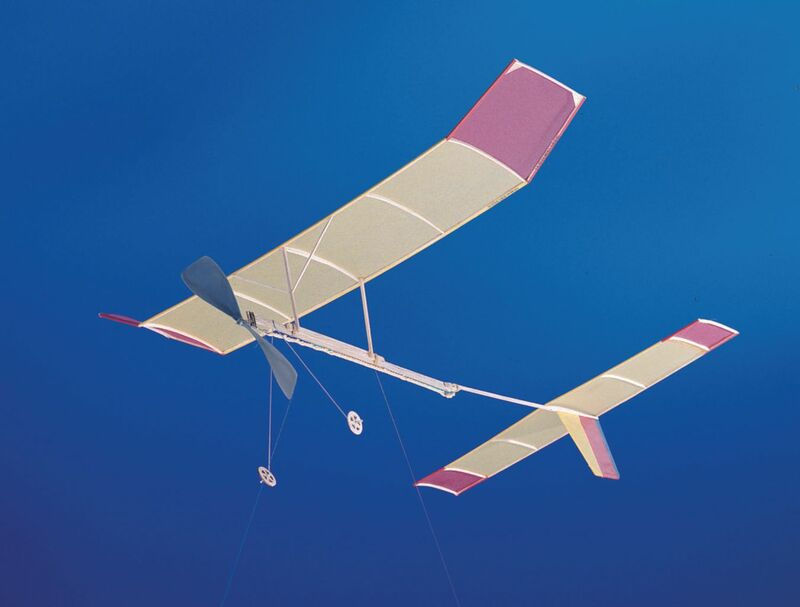 Design innovations include laser-cut balsa cambered ribs, spoked wheels and gussets, two-piece fuselage with laminated motorstick and tailboom system, and parasol wing with removable lightweight saddle. Wingspan: 48.3 cm (19"), Wing Chord: 10.5 cm (4-1/8"), Length: 51.4 cm (20-1/4"), Propeller Diameter: 15.2 cm (6") or 20.3 cm (8"), Power: 3/32" contest rubber, Weight: 10 grams. Grades 6 - 12. Two kits per pack.